Bollywood had its award party at home in Mumbai. 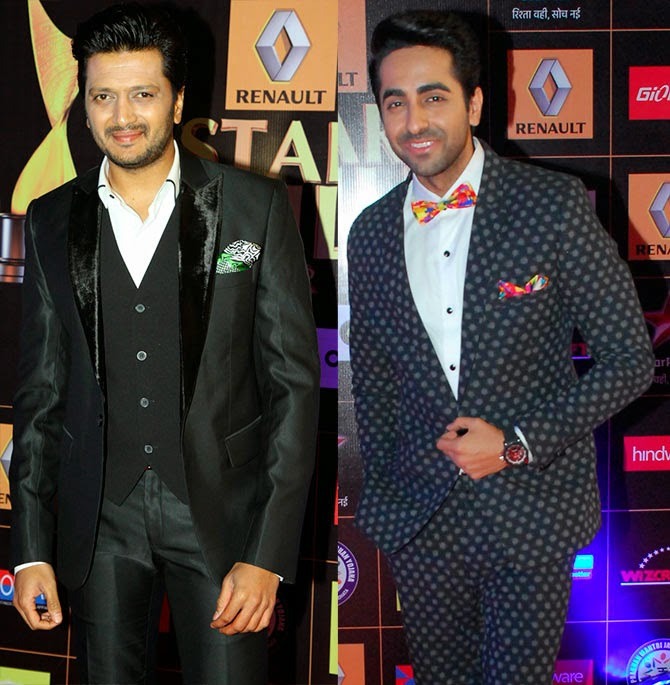 The Renault Star Guild awards 2015 was held at the Reliance Media Work Studio, Film City, Goregaon, in the western suburb of Mumbai. Here's looking at pictures from the event and winners in various categories. Priyanka Chopra accepts her Best Actress award for Mary Kom from Shraddha Kapoor and Sumit Sawhney, CEO MD of Renault India. Priyanka also won an award for Hindustan Times Celebrity for a Cause. Meanwhile, Shraddha Kapoor won the Star Plus Shining Superstar award. Shahid Kapoor receives the Best Actor award for Haider. Alia Bhatt wins the Gionee Most Stylish Youth Icon Award while Deepika Padukone walks away with the award for Entertainer of the Year. Gionee India head Arvind Vora presented the awards. 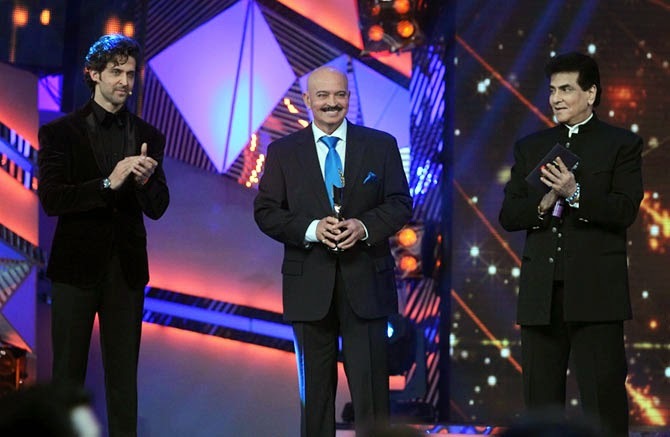 Rakesh Roshan receives a Lifetime Achievement Award, presented by Jeetendra and son Hrithik Roshan. Alia Bhatt performs to Phataaka Gudi (Highway) and Radha on the Dance Floor (Student Of The Year). The actress also performed at the Umang Mumbai Police show over the weekend. Jacqueline Fernandez wears a lacy Gaurav Gupta gown. Lisa Haydon wears a trendy gown designed by Gauri and Nainika. 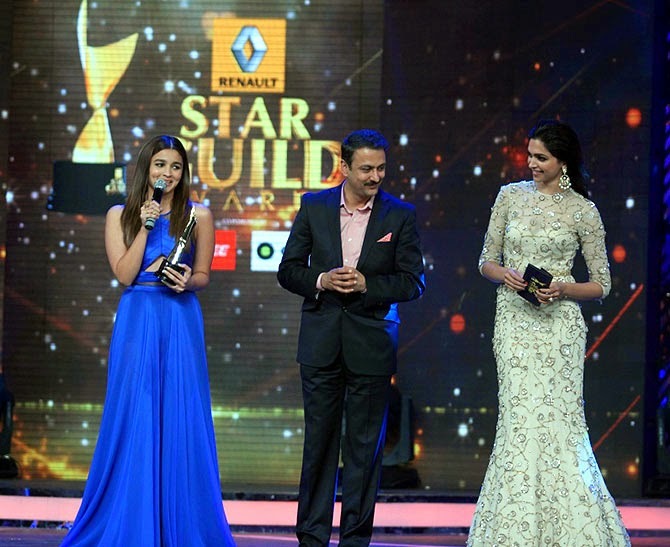 Deepika Padukone, who wore an Amit GT gown, was awarded the Entertainer of the Year trophy. Shraddha Kapoor, wearing a red Atsu gown, bagged the Star Plus Shining Superstar award.